Elissa Redmiles is a Ph.D. Candidate in Computer Science at the University of Maryland and has been a visiting researcher with the Max Planck Institute for Software Systems and the University of Zurich. Elissa’s research interests are broadly in the areas of security and privacy. She uses computational, economic, and social science methods to understand users’ security and privacy decision-making processes, specifically investigating inequalities that arise in these processes and mitigating those inequalities through the design of systems that facilitate safety equitably across users. 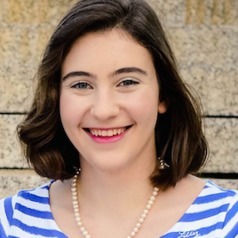 Elissa is the recipient of a NSF Graduate Research Fellowship, a National Science Defense and Engineering Graduate Fellowship, a Facebook Fellowship, and the John Karat Usable Privacy and Security Student Research Award.